... Joyful Stamper: Visions of Sugarplums event - day one! 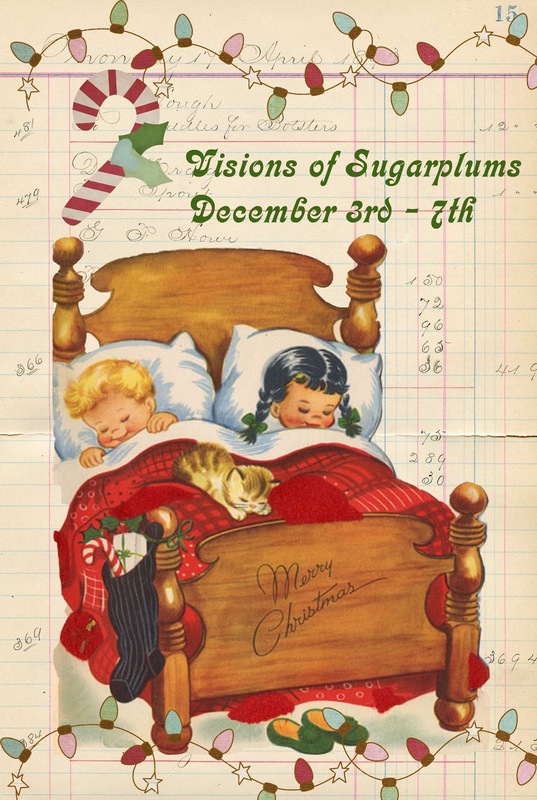 Visions of Sugarplums event - day one! 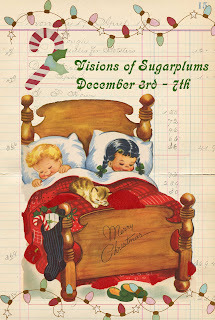 Welcome to the 2nd annual Visions of Sugarplums week long event hosted by Lori Hairston! This year Lori has a sweet co-host, Lisa Minkler, they will be sharing wonderful holiday inspiration everyday! They have a fun week planned for us & I'm honored to be part of it!! Here's my share for today! I created some fun trees using ribbon, twine, tinsel (some antique jewelry) & crinkled paper. They are quite addictive once you start! They're super easy too...and free if you use what you have on hand. Simply roll some heavier cardstock into a cone. Use tape or staples to secure your cone shape, be sure to trim the bottom so it stands level. Then start gluing & wrapping! too fun! 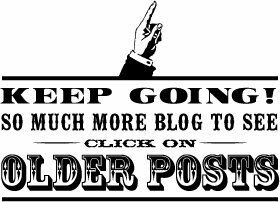 There will be fabulous sponsors throughout this week long event so be sure to comment on all the blogs. Each comment is an entry for the give-aways! Regina at The Cutting Cafe will be giving away 3 sets of choice,1 set of choice from Moonlighting by Mary, 1 set of choice from Paper Sweeties! I hope you enjoyed my project, I'll be sharing again tomorrow. Thanks so much for stopping by! Very spiffy and so easy too. I just need to say that I love the bird on your blog, so cute. So how fun are your trees, I love the twine or garlands that you can put on them. Very pretty and thank you for sharing it with us! What a fun project Maria! Lovely cones with such pretty colours, too. Love your trees and the adorable winter scene in the salt shaker! What lovely trees, Maria! I've got to try those and the adorable scene in the sugar shaker! I love, love, love those trees!!! So festive & fun! Adorable little trees, love the shaker jar the most! Great idea! what a nifty idea maria ill definetly be making some of these trees to add around my fireplace. i love that little shaker too! I love these cones! They look easy to make and would make a wonderful decoration! These are just WONDERFUL!! Thank you so much for the perfect tutorial. That shaker jar is adorable!